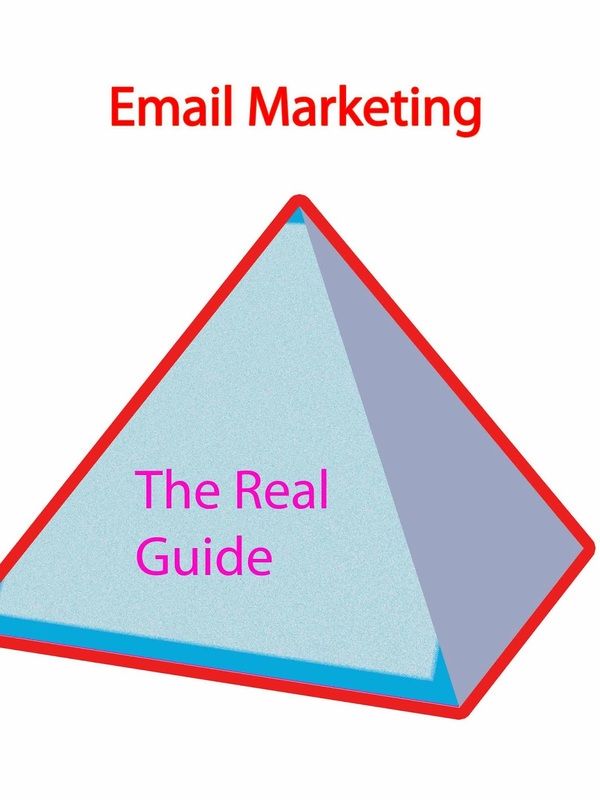 Email Marketing is increasing day by day, that's true. Then definitely there are many reasons behind of it, so let me tell you those reasons that's why you will also come to know about it. Actually it's a life time way to communicate with person in the world. Human will dead but there email addresses will not dead, a survey has been conducted that people spend more time on their email inbox than social Medias. So, I've started thinking about it and I did little research on this. I found that only 15 to 20 percent’s of total internet users use social Medias and about 45 % of internet users use emails. What does that means, Making Email List is the Best way to communicate with people and to grow your online business even you can grow your offline business. Here, I got few more points- In which social media you want to use to promote your product may be Facebook, Twitter and Google Plus. That's true you can promote your product on social Medias but remember these are not all time medium, means before these you knew about My Space, Hi5 etc. May be any new idea will take over today’s new Medias! No one know, where technology and ideas will take this world. I am sorry let me tell you those ridiculous ideas to make your own huge list of emails. See, if you want to make a huge list of emails then you have to find an email marketing company, which will give best service. The best email marketing companies. Yes the best and more important, it'll provide you spam free emails templates, that's why your emails will not go in to the email spam folder of your subscribers. After looking at the statistics you must come to know how much popular this email market company. So, get start today with $1 Only. Now, getting Aweber account means you have the best sword to capture email addresses. If you want to get sells then Google Adwards and Facebook are the best for getting more conversion rate. But, if you want to get only visitors and of course email list then go for cheap advertising, I mean the next alternative to all these networks. There are two next advertising networks, those are not costly like Google Adwards and Facebook but effective. Those are Chitika and Bidvertisers. These two networks are really good to get good amount of traffic and also to capture their email addresses. Advertising networks are good for you, if you are willing to invest money for your business, then I will recommend you to go for it, but don't invest whole budget at a time, rather test from small amounts like 20$ to 50$, if it is becoming beneficial for you then go for big one. Otherwise you know very well! What will happen? But you should not do that, you should have to try and try again and again to find out the best method for you to promote your product online. If you will keep testing and trying one day definitely you are going to get your target that is true. See, only building huge lists cannot increase your conversion rate. To get more conversion rate you have to give something away some information, but make sure you are providing information related to your product. More hidden information you will provide, more conversion rate and more signups you will get. Again use Aweber Popup SignUp Options. I'll will recommend you to read an ultimate guide about blogging, which will definitely help you to become a good blogger. This is the tip I discovered from myself, when I was promoting my blogs, when I have launched my first blog, but later on I used other ideas. Probably you have heard about, commenting on other blogs can drive you lot of traffic. The same, I used their affiliate page URL to drive traffic to that page, which gives me lead and then I convert those leads into customers. But, I am not only going to recommend you to use commenting method, it is good but too much time taking method. So, what are those methods, less time taking as well as effective, use Facebook! Yes, Facebook pages and Groups can help you to drive more and more traffic to your blog. I mean you can create your own page, but it will again take time to grow and convert fans in to lead then in to customers. Rather, if you will use Facebook Pages and Groups those are already popular. The best option is contact Facebook page owners! Contact them and ask them for adding your Affiliate URL on the page, for this you will pay him in pennies in the first, if it will work for you, then promise for paying more. Here is the big tips for doing it. First know, who is your customers? If your customers are students then go for any youngster’s entertainment Page. See, what I am going to share with you. That is a proven method by me. The biggest ever mistakes I did, that is I did not collect email addresses of my blog readers, when I came to know many other bloggers did. So, I have started collecting email addresses. But after one month I have seen there are only 200 subscribers, in that time I was having around 8k per day page views of that blog (engineeringinstitute.in). So, I have started A/B testing. Means I have two ways to collect email addresses of my blog readers, I used side gadget and one is Popup gadget with little descriptions (what they are going to get after subscribing). Then can you believe this. I have seen there is increment by 500%. Although Popup Gadget is wholly annoying for readers, even then I have used, but the solution for this- I capped the Popup window will show for each user once in 7 days. Don't worry I will tell you about all these. Popup window, is a page, which will pop up on your blog or website, whenever users will come to blog. No matter which page he is looking for. Oh, I am sorry why I am not showing you the actually Popup Window, which you are going to get from Aweber and for free. Actually don't need to create it, this feature already provided by Aweber. Email marketing is good for long time business, but don't promote directly affiliate products, it will not help you to get sells. May be you will get sells but you'll not get more conversion rate. If you want to get more conversion rate then go for doing little hard work, I mean first make your blog readers understand itself that you are really going to help them. It's very simple, you just need to educate them about the market, I mean if you are going to promote Ebooks then tell them first what are benefits of buying Ebooks, List of websites to Buy Ebook like staffs you have to first send them, that's why you will be recognize by them. Then promote your affiliate product, but remember don't promote affiliate product only for money. Just make sure, that product would be valuable for your readers, because you have to keep your subscribers for life time to earn more and more money. Is there Any Thing Would You Like to Ask About Making Email Lists?